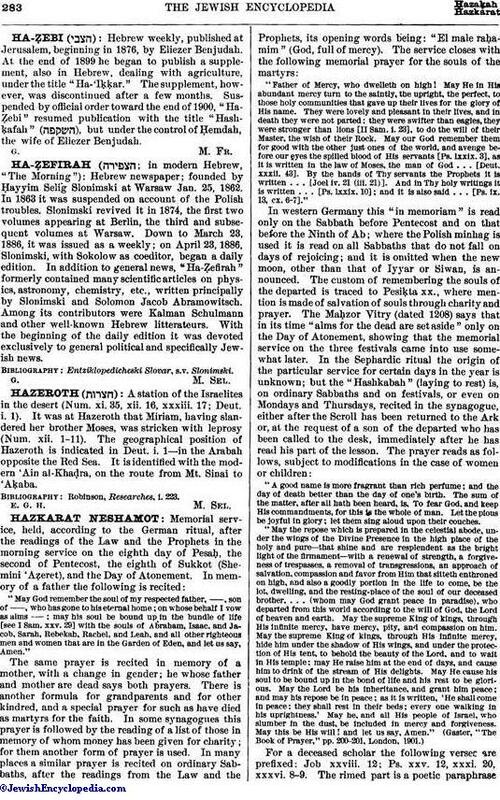 Hebrew weekly, published at Jerusalem, beginning in 1876, by Eliezer Benjudah. At the end of 1899 he began to publish a supplement, also in Hebrew, dealing with agriculture, under the title "Ha-'Iḳḳar." The supplement, however, was discontinued after a few months. Suspended by official order toward the end of 1900, "Ha-Ẓebi" resumed publication with the title "Hashḳafah" ( ), but under the control of Ḥemdah, the wife of Eliezer Benjudah.